After realising yesterday morning that we only have one (!) working bike out of six, we anyway made our way down to Northern Germany. 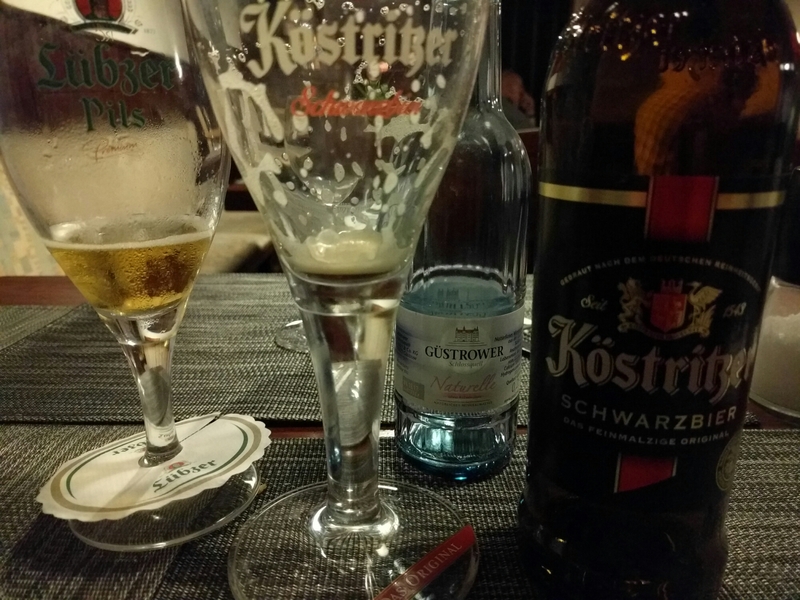 Thanks to Mikko’s willpower and Signorina Pasolina’s commitment we actually arrived in Güstrow as planned in the evening, just in time for dinner. This was the day: waking up at 4.15. 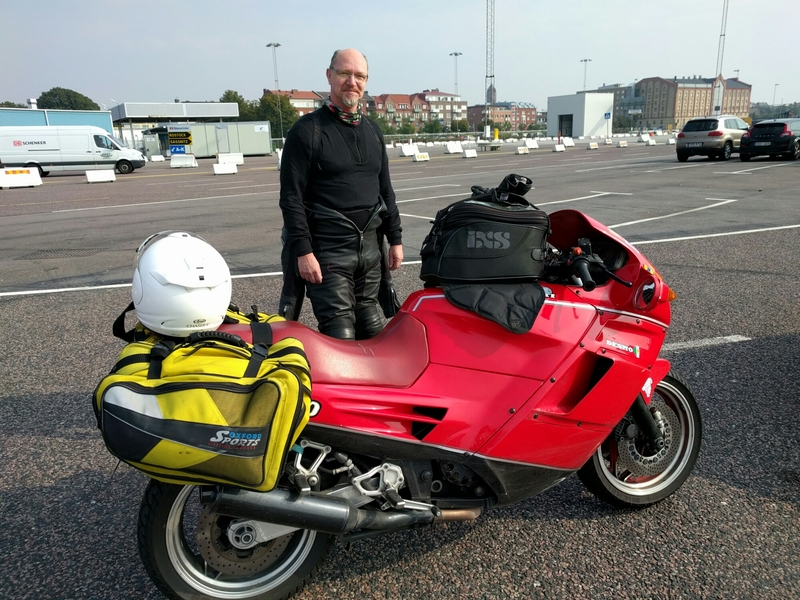 Breakfast, then garage, rolling bikes out, rolling and me noticing that this doesn’t feel right whatsoever with Elisa… Overtaking Mikko, signalling failure (oil in cylinders is never a good sign) returning to the garage, repacking and finally leaving with one bike, 45 minutes late. It was dark and foggy. But the day brightened up. 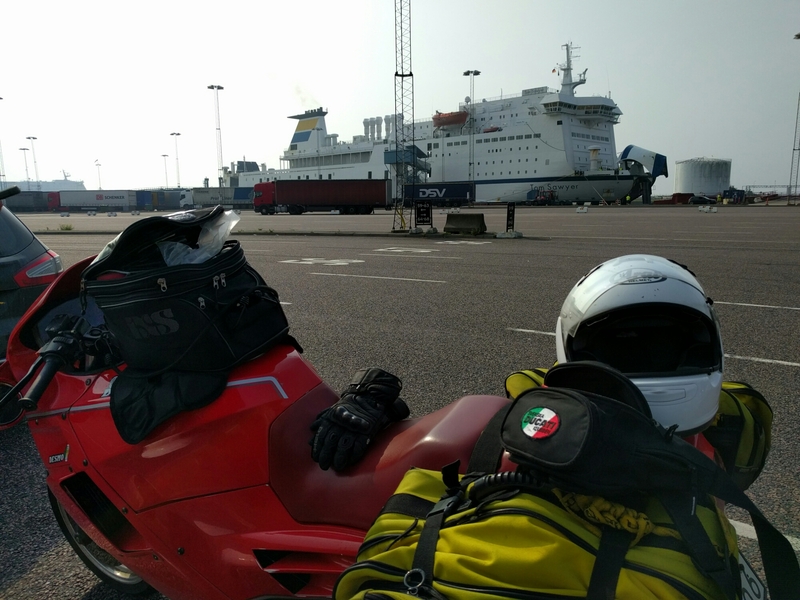 Two short petrol stops and some fast travelling later, we arrived almost one hour early at Trelleborg. After a 4.20 hours ride. And according to Murphy, since we were early, the ferry that was taking us to Rostock, departed a little late. Time for food and sleep on the ferry then. Gorgeous!!! 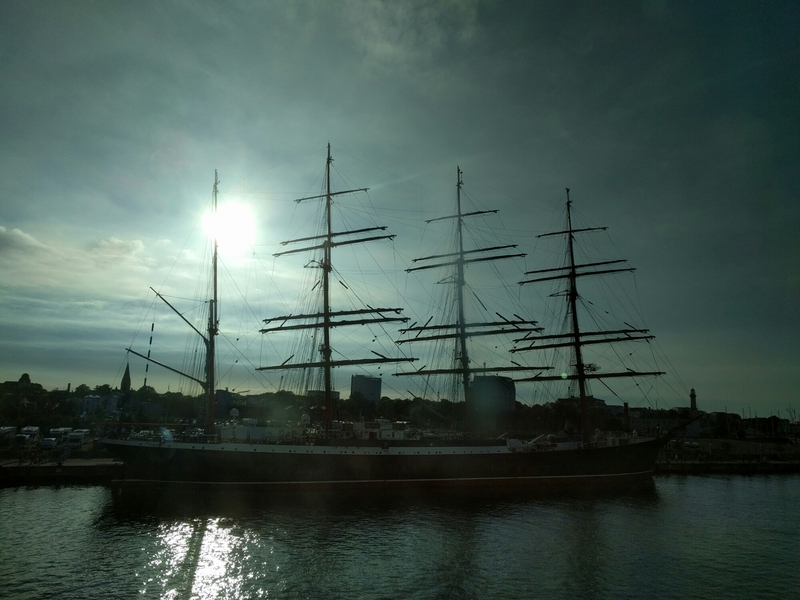 On arrival, Warnemünde light house greeted us, and also the biggest Windjammer in the world, the Sedov! About an hour later we arrived at the hotel. Unpacking, showering and some nice food meant the world order was totally restored. I think I am getting old, though. I actually enjoyed being a passenger on the bike, and I even almost nodded off in my space on the “prayer’s seat”. Strange things are happening.